Patios & walkways, driveways, retaining walls, water features and outdoor fireplaces serve as the “hard” elements that provide continuity and a harmonious union of landscape elements. With more than 30 masons on staff, many of them fourth generation Guatemalan masonry craftsman, Rhine Landscaping does not have to outsource work to subcontractors. Rhine Landscaping’s experienced tradesmen are able to achieve a level of detail and quality that go beyond the industry standard. Rhine Landscaping’s employment of in-house masons expedites the landscaping projects which is cost effective for both the company and the client. Because of Rhine Landscaping’s confidence in the quality of their work the company issues a five year guarantee on hardscape work, far beyond the industry standard of one to two years. 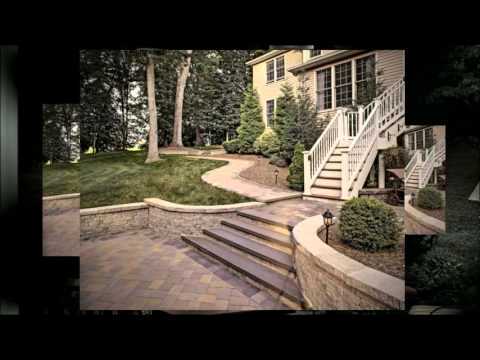 Rhine Landscaping offers an extensive selection of hardscaping materials including natural stone, brick, concrete and other hard stone materials. Hardscape elements such as water features, retaining walls and walkways turn landscaping into architecture.